The first snowfalls arrive with anticipation in the Arctic region. Witnessing the transition from Autumn to Winter is a privilege as is seeing the first displays of the Aurora enliven the night sky. This period is known in Finnish as ‘Ruska’ - reflecting the Autumn colours of the trees. This holiday is designed to give you maximum chances to experience the Northern Lights and Ruska in Finland between September and December. 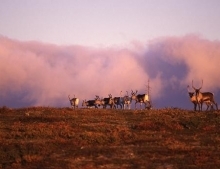 It also offers activities including visiting a local husky farm and the Sami village of Inari. You’ll stay at Hotel Korpikartano, a cosy family-run hotel where you can enjoy the outdoors by lake Menesjärvi accompanied by breathtaking views to the fells of Lemmenjoki, the largest national park in Finland. This holiday can be tailored to your needs and is suitable for families with older children. Arrival at Ivalo airport where you’ll be met by your hosts and transferred to Hotel Korpikartano. Settle into your wilderness hotel by Lake Menesjärvi. Your hosts, Anne and Timo will explain how your itinerary will work based on local weather conditions and Aurora forecasts. The order of the program may therefore vary. You'll be served dinner at your hotel before your chance to look to the night skies for possible glimpses of the Aurora. An authentic wilderness hotel that was a Sami elementary school until 2005. The hotel is situated next to the beautiful shore of Lake Menesjärvi, one hour from Ivalo airport and 25 minutes from the centre of Inari village. The hotel restaurant serves home cooked Lappish food - in the winter you’ll find a mix of berries on the menu as well as reindeer and fish. There is also a bar and lake view terrace. In the main hotel there are two log wood saunas and by the lake a third traditional wooden heated log wood sauna and hot tub. During your stay you are invited to enjoy an evening by the open fire at the glass roofed Aurora hut. If you are lucky you might see the Northern lights dance in the sky! The rooms are in a traditional Finnish style and all have private bathrooms as well as television and fridge. Some have lakes views, other forest views and there are larger apartments for families and groups. During your stay you will be provided with warm outer clothing for all the activities, and you are offered free use of their toboggans and kick sledges after snow has arrived which is usually around November. You’ll enjoy a day at your own pace with the chance to explore the surrounding area. Perhaps you’ll go for an independent hike in the Lemmenjoki National Park. 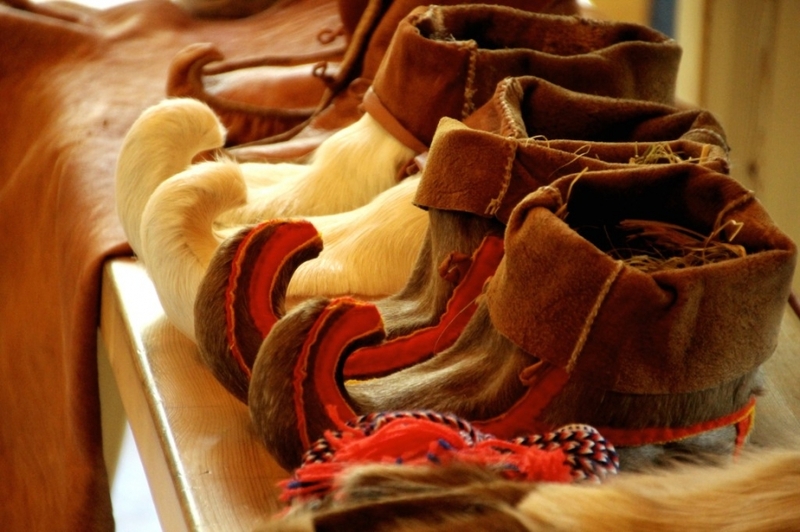 Alternatively, the hotel can arrange excursions for you such as a visit to a reindeer herder or Sami felt maker. In the evening you will learn about capturing the Northern Lights by camera and join a Northern Lights excursion on foot. If snow has arrived you’ll be affixing snow shoes to accompany your walk. Today you’ll have the option to visit a husky farm meet a pack of eager husky dogs and their puppies. 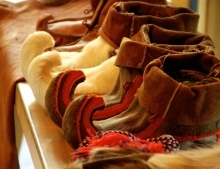 Your journey continues to the Sami Museum and Nature Centre in the village of Inari. This fascinating museum will give you a unique insight into life in this Arctic region. The museum is situated next to the impressive Lake Inari, which you’ll have the chance to visit during your time here. In the evening, after dinner, you will be whisked off by car in search of the Northern Lights. Your guide will check local forecasts and take you where the Aurora is most likely to appear that night. If snow has arrived, you will travel by snow mobile. 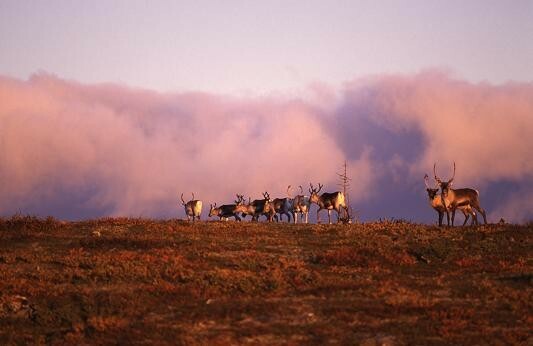 Transfer to Ivalo airport or extend your stay in the Arctic with additional nights and activities. Don't forget to make the most of the hotel's impressive saunas which are heated up each evening. After a day of adventure, it's the perfect way to round off the day.